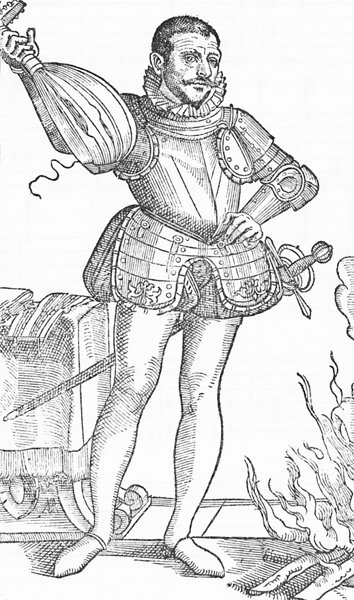 above: From "Il Terctio Libro de Intavolatura de Liuto" by Ivlio Caesaro Barbetto . 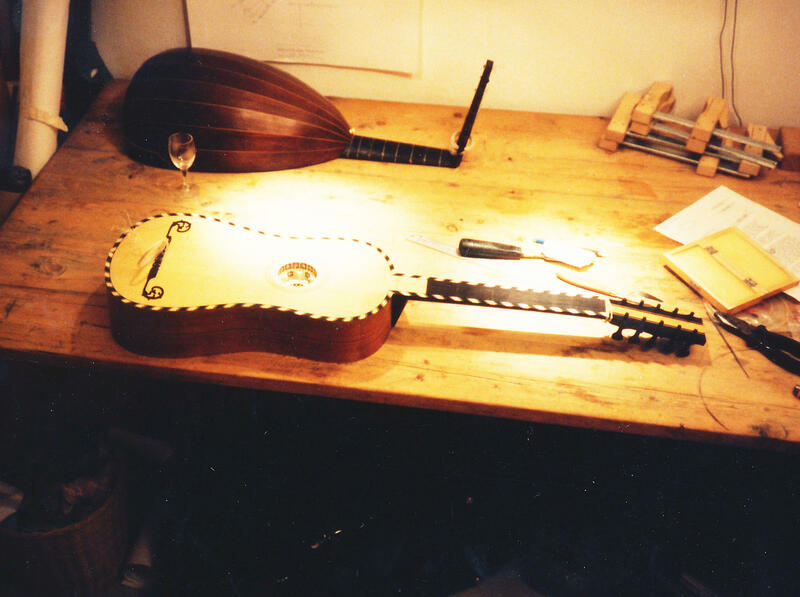 Repair work on lute and baroqueguitar made by Oliver Wadsworth. above: A minor repair on a very nice theorbo made by Francisco Hervas. 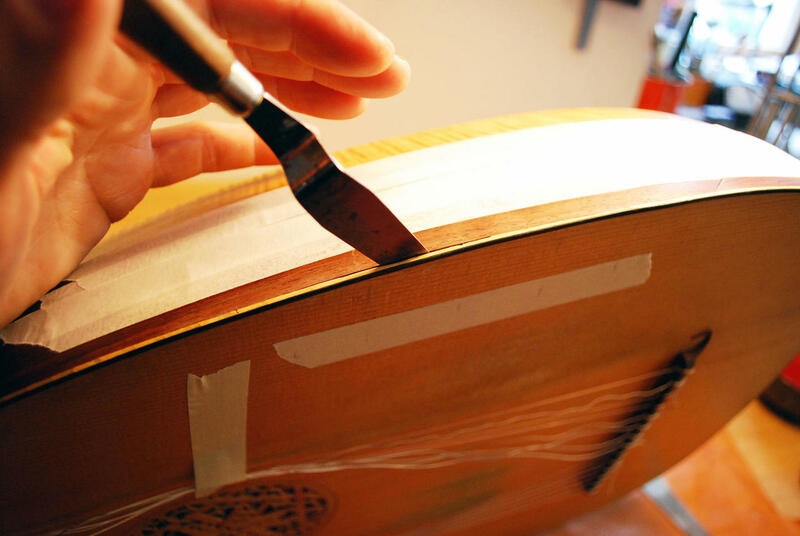 Re -gluing a loose bar. 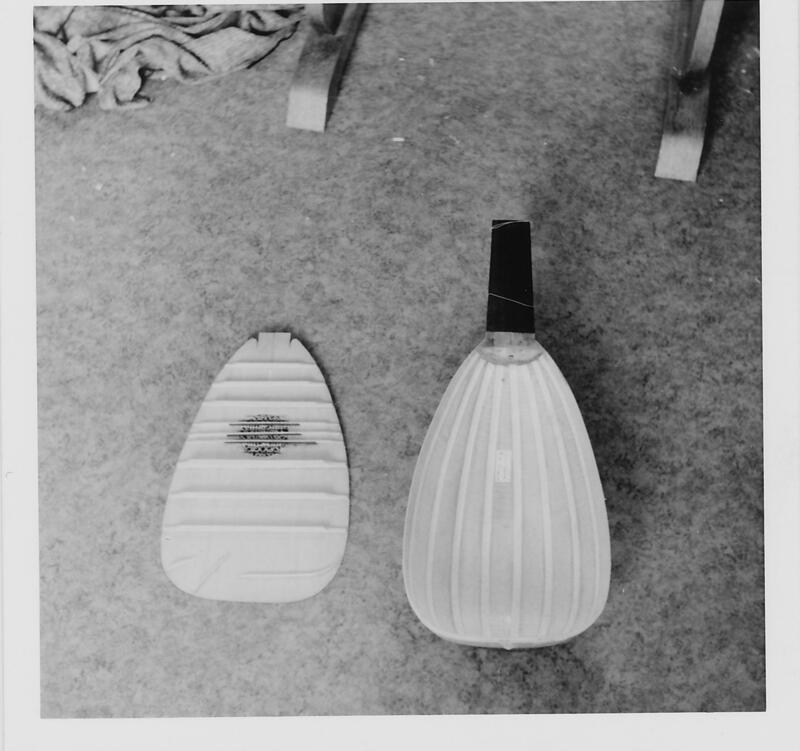 above: This lute disintegrated! 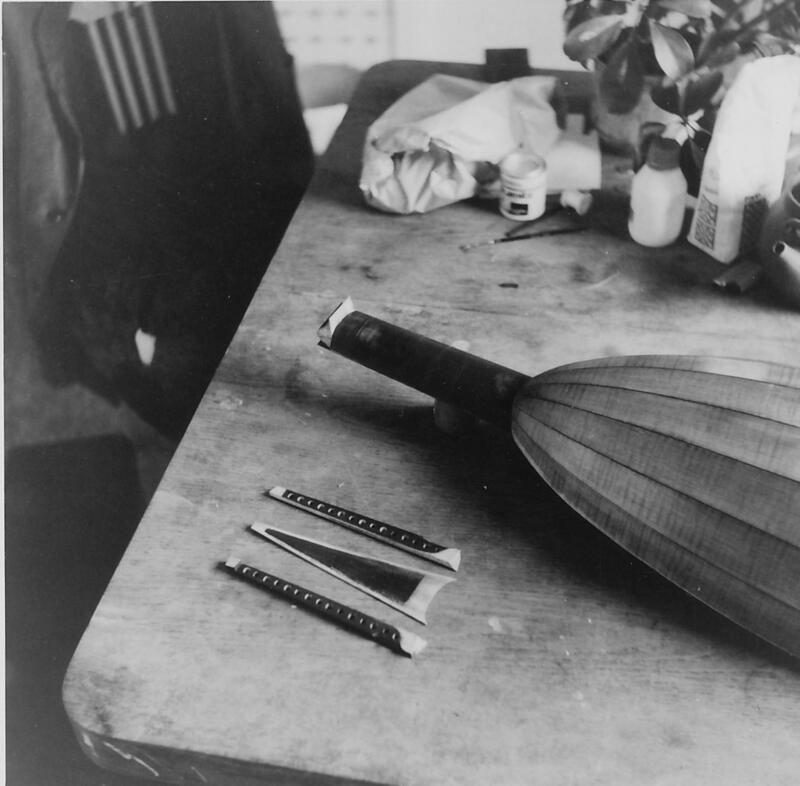 Repair in 1988 on a very lightly constructed 8 course lute after Mahler, made in England ca 1975? "Musick´s Monument" - Thomas Mace, London 1676 - extremely helpful!